Siding is an essential part of any home. While homeowners may focus more on decorating the front door, picking out stylish paints and getting the landscaping done, the siding still needs some attention and TLC. More importantly, its critical to check if you have a case of warped siding. The best option is to do a quarterly check. Every four months, at the change of the seasons, for example, walk around the perimeter of your home and inspect your siding. Being aware of any issues that may be starting will help save you money and time in the long run. 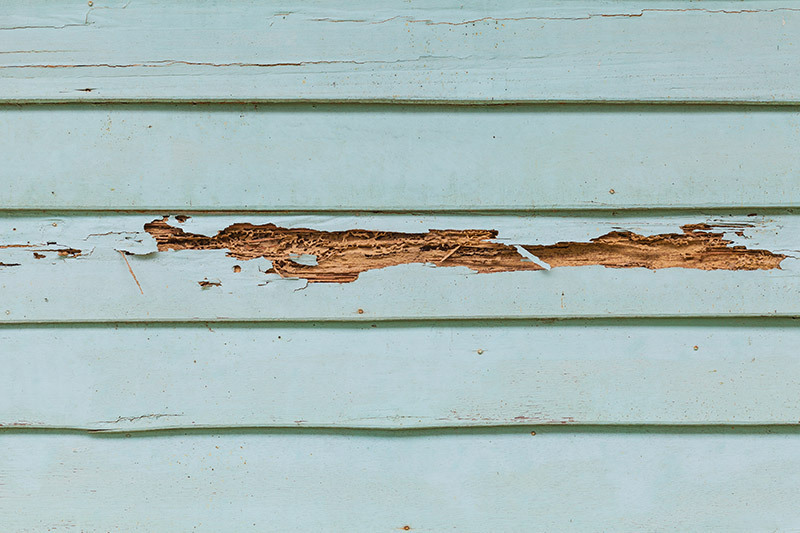 If you do notice some warped siding, here are some suggestions on what to do. Vinyl siding has become such a popular choice amongst homeowners since it came out and replaced aluminum. One of the upsides to vinyl is that it’s highly durable and can resist extreme weather. However, it’s always possible that some warping can occur. In some cases, warping may occur on a part of vinyl siding that was recently repainted. If this is the case, consider whether or not the color of paint is a darker shade than the original paint that was on there. If you did use a darker color, you may experience some warping. The reason is that darker colors attract the heat from the sun. You may notice that the warping occurs on the side of the home that’s in more direct contact with the sun. When the siding attracts the heat, the vinyl will expand. However, the vinyl isn’t able to easily contract after it has expanded. This can cause the siding pieces to slowly warp. To avoid this issue, you’ll want to pick a color that’s completely safe for vinyl and that’s designed in order to prevent buckling and warping of vinyl. For example, most large paint brands make a special paint that’s designed specifically for vinyl. It’s best to not go for a paint that’s oil-based because oil-based paints don’t allow for much flexibility, which is what you need for those temperate fluctuations and expanding and contracting of the vinyl that may occur when you paint it darker. Another option is to simply not choose a color that’s darker than the original paint you chose. It has happened to enough people to be a problem. When the weather gets warm, many families will want to enjoy some time outside together and have a barbecue. One danger is that the grill can be placed too close to the side of the house, causing the siding to melt. The first step to fixing this issue is to move the grill far enough away from the home that further siding issues won’t progress. Plus, having the grill too close to the home could result in a fire, so it’s best to keep it away. The next step is to see if immediate fixing of the siding needs to take place. If the siding is minimally damaged and there is no gap that has formed from the warping, you may be able to just leave the siding as is. It’s not recommended to try to fix the siding yourself or you may make it worse. If any gaps are noticeable, you run the risk of having moisture get trapped underneath the vinyl and penetrating the area behind the siding. If this is the case, you’ll need to get a professional to address the issue. Most likely, they will need to remove a section of the siding. Sometimes the area that has to be cut out is much larger than the specific part that has been damaged. Wood siding has a great look, but it does require significant maintenance on the part of homeowners. If you have wood siding, be sure to do regular checks for loose boards, warped parts or general wear and tear that you can monitor. Wood is highly susceptible to being changed by the elements. If you live in an area with a lot of rain or snow, you may want to think twice about wood siding because of its vulnerability. In addition to precipitation being a threat, temperatures changes can affect wood just as they can vinyl. If you live in an area with a lot of changes in temperature, you will want to monitor your wood even more. Warped wood siding can be the result of a few different factors. The first step is figuring out what is causing the warping. If you happen to notice any wood panels that are buckled or warped, you can try to fix it if you have a bit of experience and the right tools. First, look carefully at where the side boards meet. For example, if there are doors or windows, check to see if there are any gaps or warped pieces near where they meet up with side boards. You can then use a caulking compound to fill in those gaps. Sometimes, holes in the wood siding are the reason for the siding being warped. If this is the case, you can use stainable wood putty to fix these holes. First, clean out the holes carefully; some debris may have gathered in the holes. Using a bristle brush, you should thoroughly clean out the hole. Next, use a putty knife to apply some of the stainable wood putty. You may need a few layers or you may need just one if the hole is only a bit small. If the hole is a big one, you should keep applying the wood putty to build up layers. Give time for each layer to dry before you apply enough for the next one. Once you’ve filled in the hole, you can use sandpaper to sand down the putty and make sure that it is even. If you cannot figure out the cause and it doesn’t seem to be a hole or gap, it is best to call a professional who can fix your wood siding. The same can be said for vinyl, since fixing vinyl siding can be trickier. An untrained person may struggle to determine what the reason is for the warping and to come up with the right solution. 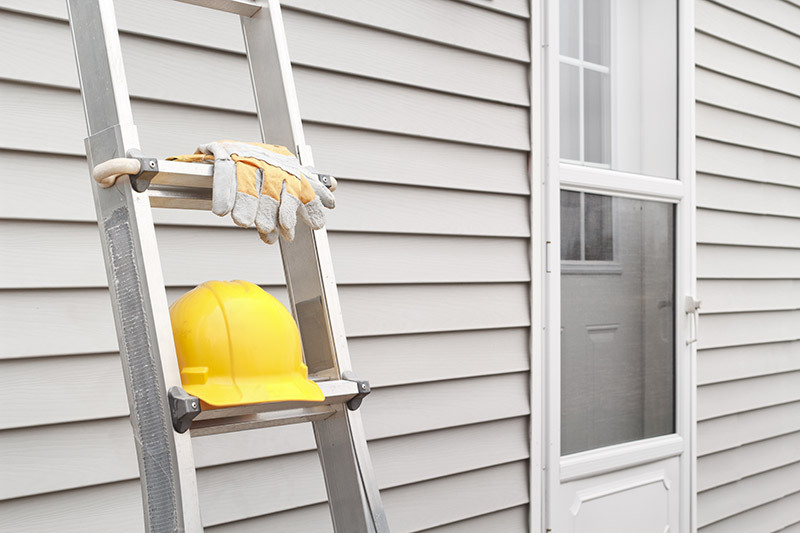 Hiring someone with experience and a good reputation may be the best idea to fix your warped siding and tackle any issues before they begin to get worse and affect any other parts of the home. Get a Free Quote With Feldco Today.